In a relationship for 8 years! Last April 15, 2005, Jesus asked me if I would accept Him in my life as my Lord and Savior. I said, ‘Yes’. As I look back on the night of my altar call, I realized that even after 8 years I’m still not perfect, but I’m still with Jesus, who is the perfector of my faith. I’m still not sinless, but Jesus still loves the sinner in me. I still have fears and inhibitions, but Jesus is my strength and my power. 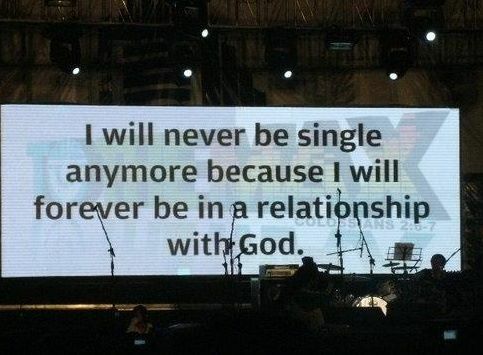 I may not remain faithful to Him, but He remains faithful to me. I still don’t have everything that I want, but Jesus is everything that I need, for He is more than enough. Eight years of being in a relationship with Jesus made my life worth living because no matter how strong the storms are, I have Him who calms seas and quiets the thunders. Each day, I will never be tired and weak to proclaim and live as someone for Jesus. Another leap of faith happens last April 15, 2013, when Jesus reminded me that living for Him guarantees no comfort but a fulfilled purpose and eternal peace. Where would I be in the 8 years without Jesus? I don’t know, I probably have a wasted life. This is why I really can’t thank my friend and my sister in Christ, Irish Fe, enough for inviting me to the camp that changed my wasted life to an awesome one. I can’t believe it’s been 8 years since I said Yes to Jesus! Thank you so much Irish. I’ll be eternally grateful.